I’m very happy about meeting Anita. 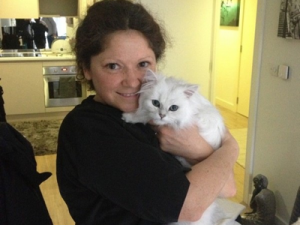 You can tell she is not only an expert and experienced cat groomer but a very nice, kind and friendly person. She has made me feel at ease and live this grooming experience in a very pleasant way. She treated my Jasper like he was her own. She has given me good advice and I’m sure it will help me with Jasper as he’s my first kitten, so not much experience whatsoever. Jasper also seems to be happier. Well at least his daddy is happy. Thanks Anita!